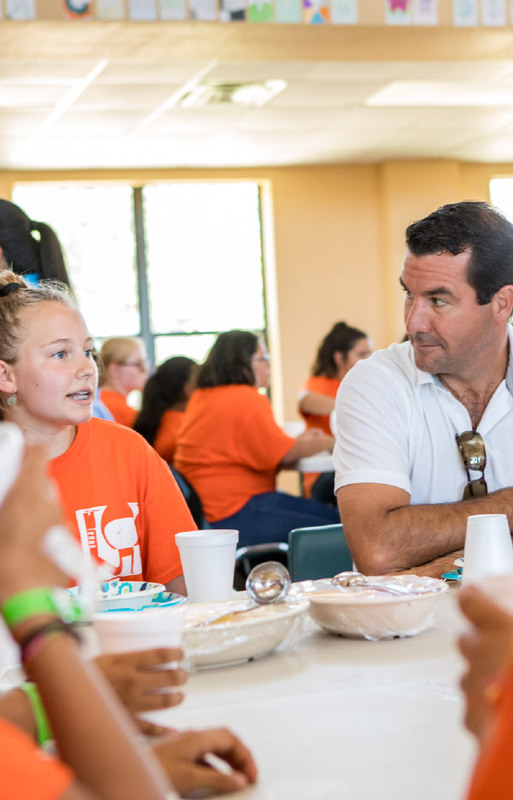 C5 Texas is more than a summer experience – we provide year-round programming and experiences for our outstanding youth. Our volunteers help make each event fun, safe, and meaningful for the youth we serve. Currently, our volunteers are C5 Texas former seasonal staff, alumni, and parents, as well as college students from local universities. If you’re willing to invest your talent and time with us, we’d love to have you! Participate in community service opportunities with our youth. Assist with administrative duties in the C5 Texas office. Sleep in cabins on retreat weekends. Celebrate the success of each class at Graduation. Hike and backpack for an outdoor adventure weekend. Host Leadership Lunches to showcase career opportunities for our students. Facilitate presentations at leadership workshops. Review applications and interview potential C5 Texas youth. Give tours at local colleges and universities. Policies for screening and training volunteers are based on the nature of volunteer’s contact with our youth and the extent to which they are supervised by C5 Texas staff while with youth. Minimum age requirements for volunteers may apply based on the opportunity. To be added to our mailing list, please click here. C5 Texas can work with your schedule!! We can accommodate most individual and group volunteer requests. Please contact Fulori at fulorik@c5yf.org to determine the best way you can serve.